Oppikoppi 2014 Odyssey is only a few months away and excitement is mounting for what promises to be one of the best festivals to be held in South Africa and on the African continent. Because this year will be the 20th anniversary of South Africa’s biggest music festival, I’ve decided to feature some of the photos that I’ve taken over the years to build excitement for this year’s festival, so here goes. In 2005 I attended Oppikoppi Wired. We walked to the bar on the koppie to watch Bacchus Nel perform. I walked up close enough to the fence to take this aerial picture of the camping area. After spending the one morning wandering around we finally arrived at one stage where Fokofpolisiekar were promoting their Monoloog in Stereo album and doing an acoustic gig. A friend and I were enjoying the tunes and she asked me to turn around and look at the crowd behind us, because we were standing right in front of the stage. When I turned around, this is what I saw. On the Saturday of that same weekend my friends and I decided to find a place to watch the rugby match between South Africa and New Zeaaland. We found a single TV in an area between the stages where a small crowd gathered for the rugby. For the first half of the match we couldn’t see anything because the sun was shining on the TV and only the people sitting right in front of the screen could actually see what was happening. We’d hear them cheering and shout “What Now?” (or something in that line) and we were greeted by one word: “Try!”. The Springboks were victorious on that day. It was one of the most memorable rugby matches I’ve ever watched. I snapped this photo of the TV and the crowd. In 2006 my friends first introduced me Oppikoppi Easter. This truly was one of the most memorable festivals that I’ve ever been to. The line-up for the weekend included Fokofpolisiekar, The Narrow, Ben Lee (from Australia) and others. This was also the festival where I saw Chris Chameleon performing live for the first time. I didn’t have a great camera back then, but I managed to snap this photo of him playing a rare acoustic set. In 2007 I attented Oppikoppi The Way of the of the Dassie. It was one of the best festivals I’ve ever been to. Violent Femmes, Jimmy Eat World and Groove Armada were part of the line-up for that particular weekend and I snapped this picture after a visit to Oppikoppi bar on my way down to the main stage area during sunset. We were standing less than 50m from the front of the stage when I snapped this photo of the Violent Femmes performing. It was one of the best shows that I’ve seen at the festival and I wish they could swing around for another South African show sometime in the future. I attended Oppikoppi 2009 Smoorverlief. We were chilling in the beer tent while Andra was playing on the main stage and I snapped this photo at the beer tent near the stages. It was a very hot day. Luckily the beer was cold and the company was awesome. I vaguely remember having an argument for Men’s Day, since some of us thought Women’s Day was an unfair public holiday. Well, there you have it. I hope you enjoyed my little trip down memory lane. Feel free to share this article with your music festival loving friends on Facebook and Twitter if you did. Remember: Oppikoppi 2014 Odyssey will be held from the 7th to the 9th of August this year and remember to take one day off work if you really want to have a good time! General admission tickets cost only R700 per person and includes camping for the weekend. This offer is available on the Oppikoppi Facebook page or on www.plankton.mobi. Tickets are selling like hot cakes, so buy yours NOW, you don’t want to miss out on this festival if you love good music. 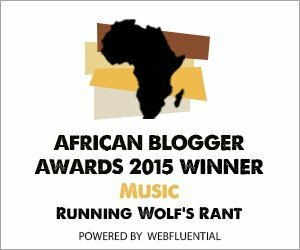 Watch this space for regular updates in the Music and Photography categories on Running Wolf’s Rant.